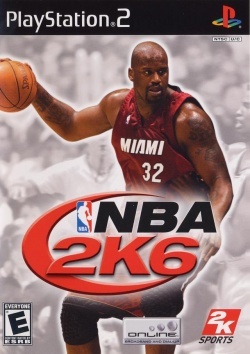 Game description: NBA 2K6 is a 3D simulation that lets you play as a professional basketball player both on and off the court. Build a player and take him through training camps, competitions and NBA games. The more successful you are, the more you can customize a player's home, buy music, unlock minigames, and land an endorsement deal. The game also includes a comprehensive franchise modeand online play. Different players and coaches exhibit different personalities and tendencies, adding depth to the team-building process. This page was last edited on 9 October 2017, at 01:33.